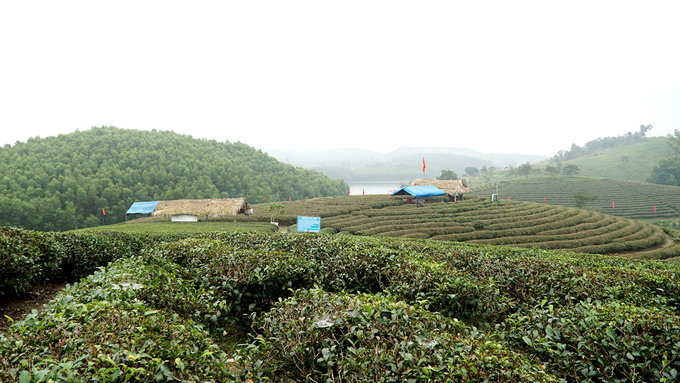 A range of green tea islands situated on a small peninsula on the country’s border is slowly getting better known among tourists. Located on Ho Chi Minh Road, near the border with Laos, the Thanh Chuong tea hills in Nghe An Province, 330km south of Hanoi, has an unusual setting. 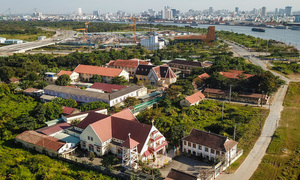 More than 50 years ago, the place was an irrigation lake built to water more than 700 hectares of rice fields in Thanh An and Thanh Thinh communes, Thanh Chuong District. 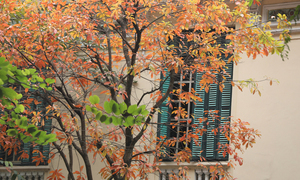 It was only three years ago that residents started planting tea. 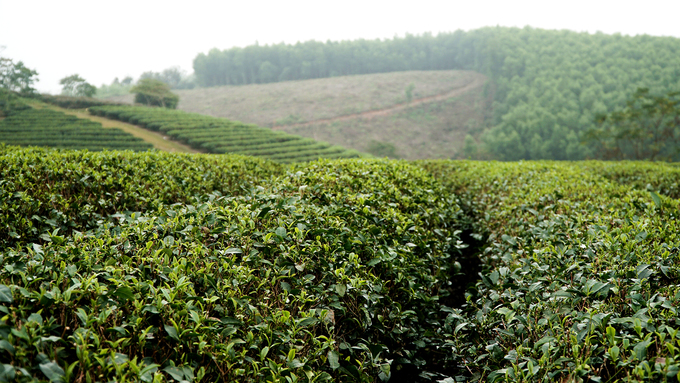 Now there are nearly 200 households growing tea on over 400 hectares. 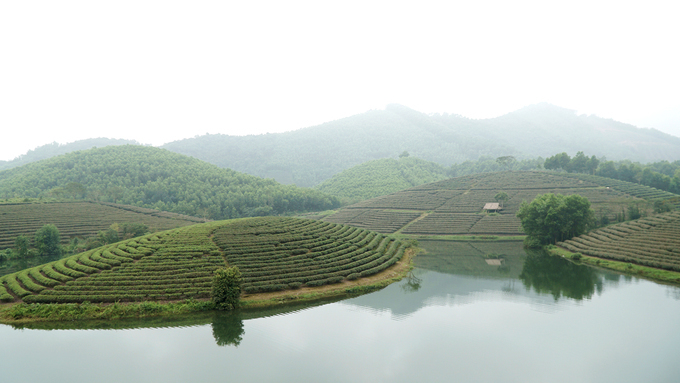 Tea estates in places like Moc Chau, Thai Nguyen and Da Lat can be visited and explored on foot. 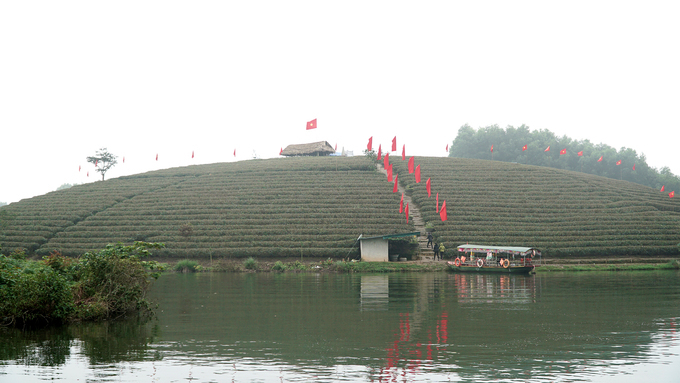 But the Thanh Chuong tea hills are accessed by boat. 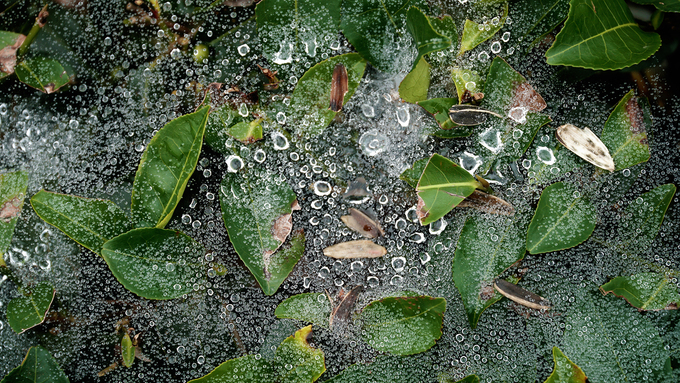 Each tea estate has a cultivated area of about one hectare; and only about 10 tea gardens here allow visitors. The atmosphere is fresh and the temperatures range between 17 and 28 degrees Celsius, creating favorable conditions for growing tea. 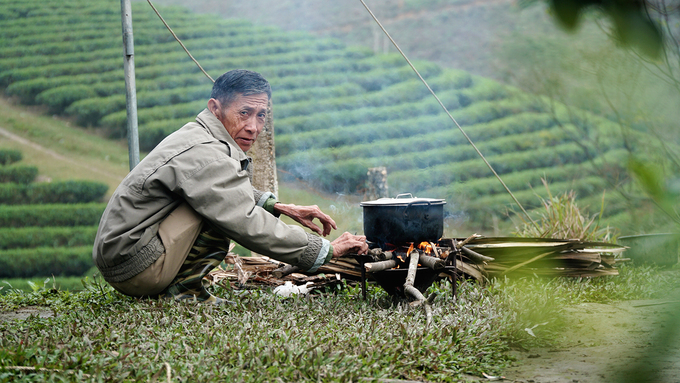 Some households have set up sheds on the island to look after the tea plants. They serve tourists green tea and peanut candy, rent hats and even tea picking tools. 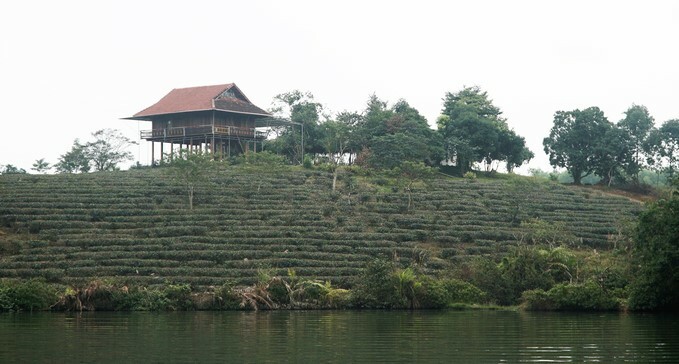 In 2017, Nguyen Cong Can, 72, built a makeshift house on his tea island to take care of the tea and rafts. 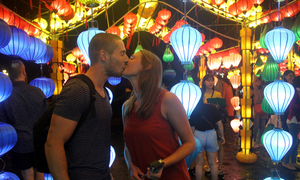 He said more and more tourists were visiting the place every year. "They mainly come for sightseeing and take pictures," he said. 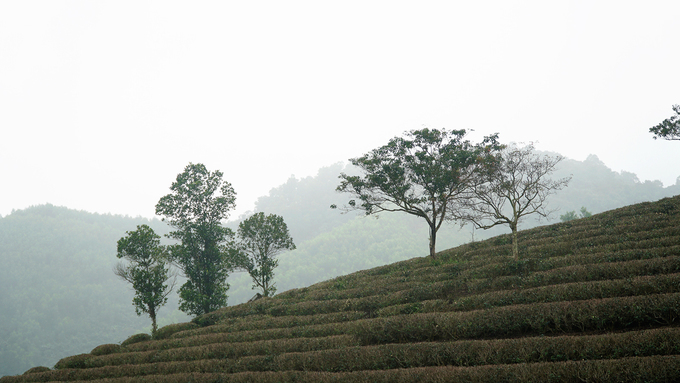 Thanh lives near one of the tea hills. He visits the island every day to feed the buffalo and protect the tea beds. 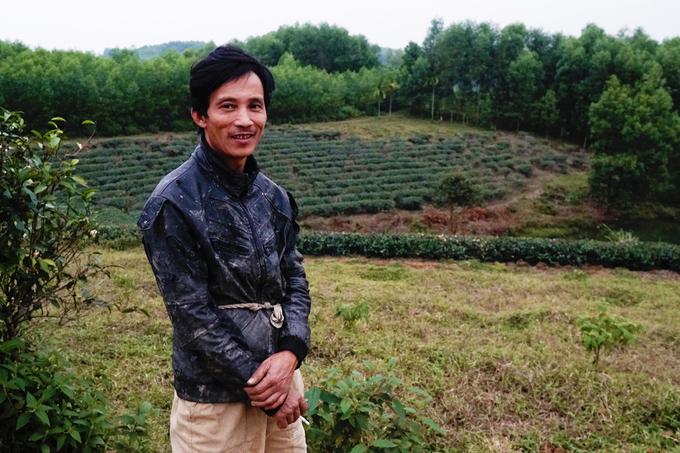 According to a cultivator in Thanh Chuong, about 8 batches of tea are harvested each year. 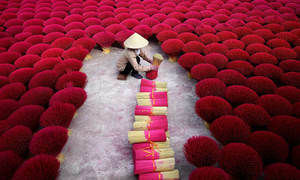 After subtracting all costs, each harvest season, the farmer earns several dozen million dong (VND10 million = $432). 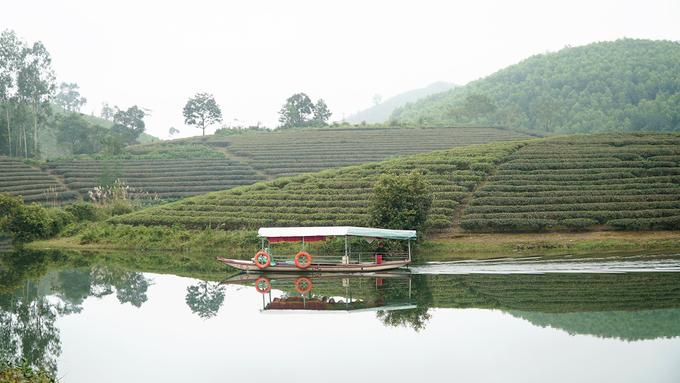 The estimated average annual income of a tea-growing family here is around VND200 million ($8,655). Today, there are dozens of motorboats ready to take tourists on a cruise for about VND30,000 ($1.3)/person if they travel in a group. 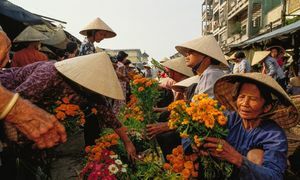 An excursion on one’s own will cost VND150,000 ($6.44). Each boat carries a maximum of 20 people. Most boats are invested and operated by locals. 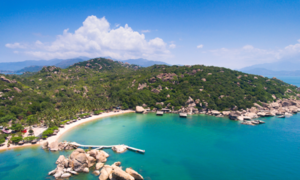 Early morning is the best time to explore the unique tea islands in Vietnam. It can get cold, so carrying a jacket is advisable. 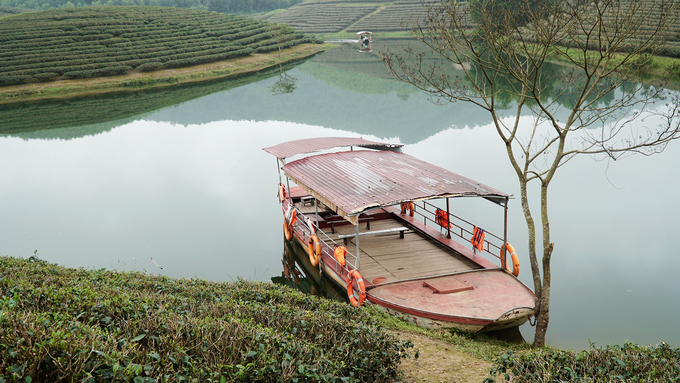 As the boats go closer to the gardens the aroma of tea mingles with the fresh air, helping visitors relax and fell rejuvenated. Now, sightseeing during the day is not the only option. 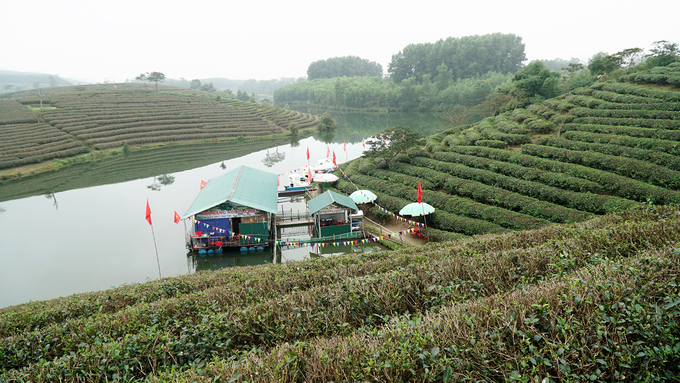 Visitors can stay overnight on the Thanh Chuong tea hill. 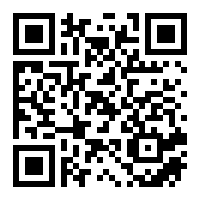 There are a number of homestay accommodations set up by locals, charging about VND150,000 ($6.44) per night. 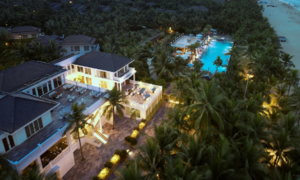 A cruise and/or a stay on this tea hill enables a closer look at the lives of the Thai ethnic minority, discover waterfalls and taste local specialties like "hill chicken".